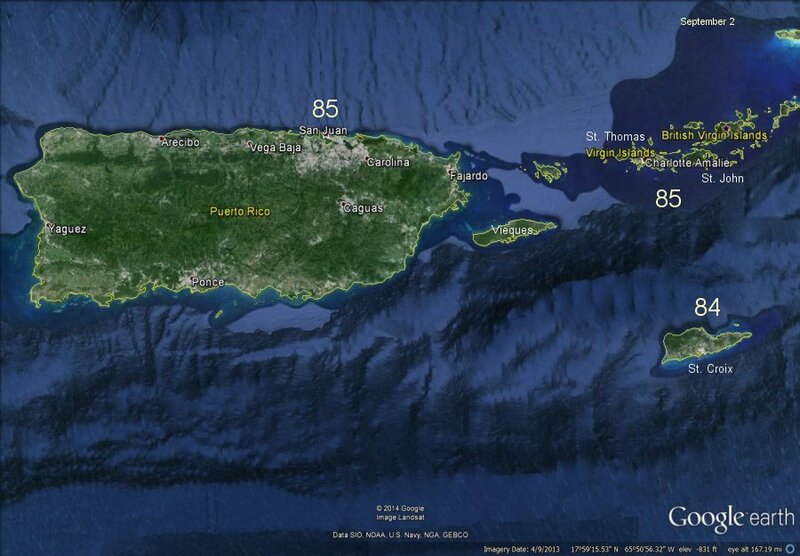 Puerto Rico and the U.S. Virgin Islands beach water temperatures are derived from official National Weather Service / NOAA coastal water reporting stations. Puerto Rico beaches include San Juan, Vieques, Culebra, and other locations around the island. Beach water temperatures are also available for St. Croix, St. Thomas, and St. John. Keep in mind that water temperatures generally do not change quickly for the exception from heavy rain or high seas from tropical cyclones. Water temperatures are updated all year. Join in our weather discussions on our hurricane / weather message board. Also, check out the Virgin Islands weather averages, and Puerto Rico weather averages before traveling.